Breathtakingly beautiful sandy beaches, wonderful walking, historical towns, houses and castle ruins, bird watching galore, fine dining, and lots of family entertainment. 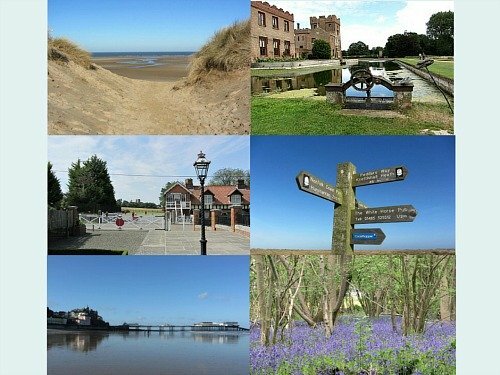 It's time to get out into the fresh air and to start exploring the incredibly diverse county of Norfolk! 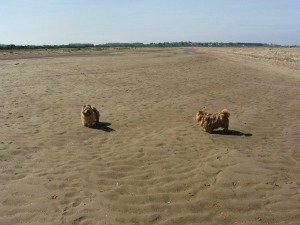 Dog friendly Norfolk, another growing list! Everything that you'll read about on this site is completely independent and has been visited by us personally. Ask yourself a question and I hope you’ll find the answer! If not, feel free to contact us. OR for a quick guide, search this site here and find all the pages you're looking for. Are you a walker, or are you new to walking and wondering where to start. Well, look no further than our Norfolk Walking Holidays, where you have the chance to walk the two national trails, (the Norfolk Coast Path and the Peddars Way) as well as The Wherryman's Way walking through the Broads, and our growing list of unusual and unique Norfolk walks. We'll organise it all for you, giving you the chance to enjoy the surroundings in a totally relaxed atmosphere. For more on our Norfolk walking holidays, click here. This website takes you on a journey through so many places of interest to explore in Norfolk, from the amazing Norfolk beaches, to reading about the castle ruins, finding out about some of the incredible nature reserves and stately homes we have here, and so much more. Keep reading and I'm sure you'll find just what you're looking for! 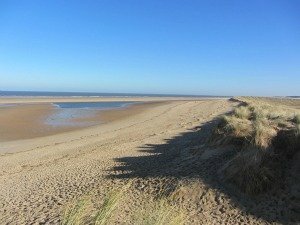 Ever wondered which Norfolk beach is best? Or which one you should visit. 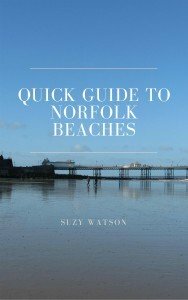 You now have the chance to acquire the kindle version or the paperback version of the Norfolk Beaches Handbook, the all year round handbook for the best 28 beaches in Norfolk. With so many beaches to choose from, this book makes your choice much easier. 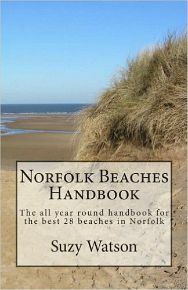 You can find out much more about the Norfolk Beaches Handbook by clicking this link. Dog Walks Around The Norfolk Coast contains 16 circular walks which all vary in length, but all have one thing in common; very little time is needed on the lead! Many walks that I discovered whilst writing this book required too much road walking with the dogs, so these walks are all walks which are excellent for letting your dogs have freedom to enjoy themselves as much as possible. 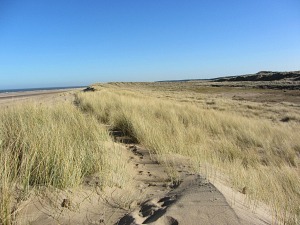 The walks stretch from Snettisham on the west coast to Caister on the east. Available in paperback and kindle version, you can read more about the book here. What more could you ask of Norfolk?! It's a place where you can relax, unwind, enjoy yourself, learn a little, sit on some beautiful sandy beaches, marvel at some incredible views, walk some amazing trails on the coast and in the countryside, watch some of the best wildlife in the UK and generally just take the time to explore Norfolk. 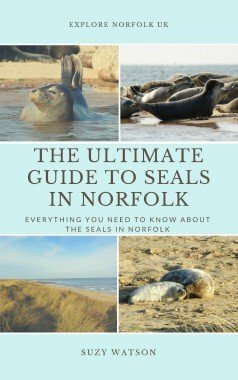 Explore Norfolk UK has put together a comprehensive guide to Norfolk beaches which you'll find here. Your beloved dogs are part of your family too, and you'll be glad to hear that Norfolk UK loves dogs and welcomes them with open arms. Many of the pubs and hotels happily accept them. There are amazing beaches, beautiful woodlands and wonderful coastal walks to take them on. 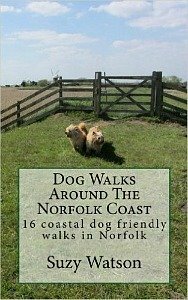 It's all here on dog friendly Norfolk. Yes, you love your dog. So do I! And that means you want to find the best beaches to let them run around and thoroughly enjoy themselves. 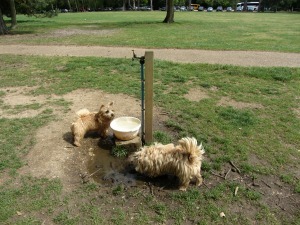 Here you'll find a guide to all the dog friendly beaches that will help you quickly work out which ones you can and can not take your beloved pets to. 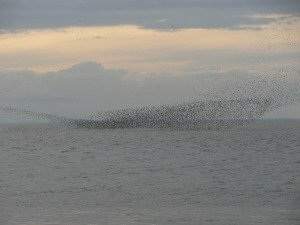 Norfolk has some of the best Nature Reserves in the UK as well as some of the best bird watching sites, particularly on the Norfolk coast where the greatest concentration of birds are. But there are also woodlands, heathland, bog, salt marshes, reed beds, water meadows to name but a few. You can find more details here. 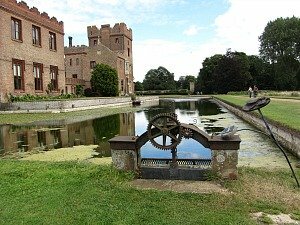 Norfolk has an amazing history and the stories are told in the many castle and abbey ruins that lie around Norfolk. The architecture of some of these ruins is fascinating and full of intrigue. 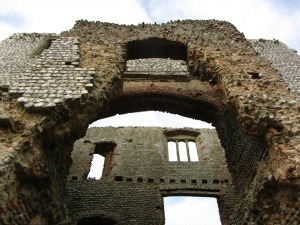 These castle ruins are one of Norfolk's best kept secrets and you can find out more here. Norfolk is like none other in that it has a whole host of fantastic stately, historic homes that you can visit and wander around. All have incredible grounds and amazing interiors and many have a real WOW factor to them. You can read about the Norfolk stately homes in much more detail here. What better way to switch off and enjoy life by walking in Norfolk. Some of the best views are along the Norfolk Coast Path long distance trail and some of the best historic walks are along the Peddars Way. 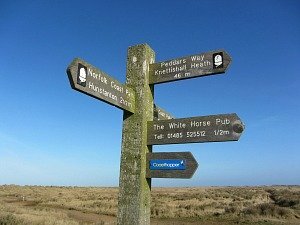 Explore Norfolk UK can put together your Norfolk walking holiday package for you here. 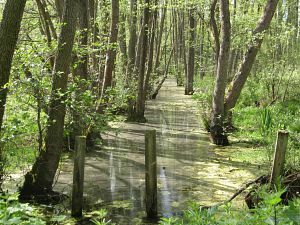 You can also walk on our unique and unusual growing range of interesting walks. And new for Autumn 2016 - The Wherryman's Way, walking all the way along the River Yare from Norwich and through the Broads to Gt Yarmouth. There are so many coastal walks you can take in Norfolk. The views are to die for and the difference in landscape from one walk to the next is staggering. Many of the inland walks in woodlands and heathland and open countryside are also very beautiful. 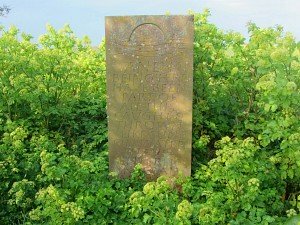 Here you'll find ideas on Norfolk coastal and inland walks. 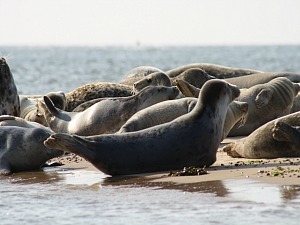 Norfolk is THE place to see seals. 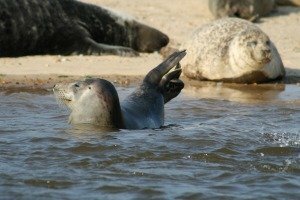 In the summer the common seals are to be found on the North Norfolk Coast and in the winter the Grey seals and their pups can be found at Horsey beach and Blakeney Point. Read much more about this incredible sight here. If you feel the need for a bit of "city life" then Norwich has become a City to be reckoned with. Amazing shopping, incredible architecture, top class museums one of which is housed in a castle, two cathedrals, theatres, and many independent restaurants and cafes. 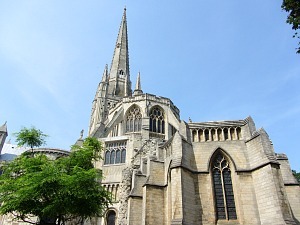 You can read more about some of the places to visit in Norwich here. This site has grown out of my passion for a place that is so diverse that it never fails to inspire. Our hope is that through exploring this site, you'll be inspired to really discover Norfolk and see what it truly does have to offer. All of the above, and more, in this one county in England. Come and explore Norfolk UK, you won't be disappointed!